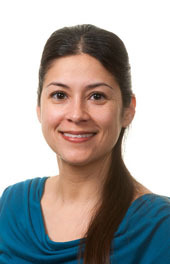 Victoria Cordy is a family physician at La Clinica’s Phoenix Health Center and on the La Clinica Mobile Health Center. Dr. Cordy joined the organization in 2012, coming from Klamath Open Door, a community health center in Klamath Falls. She is a member of the American Academy of Family Physicians and is certified by the American Board of Family Medicine. Dr. Cordy attended medical school at Tufts University in Boston, Massachusetts, and has a bachelor’s degree in biology from the University of California in San Diego. She completed a residency program in family and community medicine at San Francisco General Hospital through the University of California, San Francisco. A native of the San Francisco area, she lives in Ashland with her husband. They enjoy spending time outdoors, including swimming, hiking, kayaking, and camping. She also likes to garden and enjoys going to the gym. Service to the community and the opportunity to work with “motivated, like-minded colleagues” drew Dr. Cordy to La Clinica, she said.